its travel throughout Africa as the football club continues to strengthen its relationship with the African continent. promote the airline through the global awareness of the Barclays Premier League, which, as the most popular sporting league in the world, is watched in over 200 countries. The partnership strengthens South African Airways’ brand in the UK and Ireland and provides the platform for collaboration across a range of activities. Sunderland AFC is also the only football club in the world to have joined forces with the Nelson Mandela Foundation. 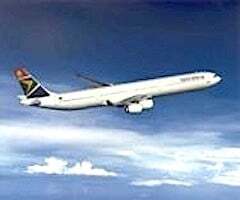 delighted to welcome South African Airways to the Sunderland family. We are increasing our presence across the African continent and this relationship provides the perfect platform for us to build on the significant work we have already done in the territory.